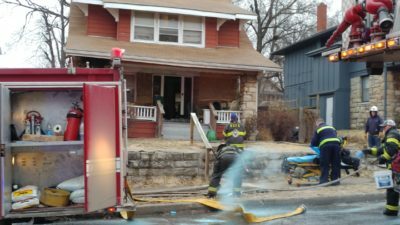 A pair of early morning house fires off St. John this morning, one in the 100 block of N. Jackson and another in the 100 block of N. Chelsea had KC Firefighters busy overnight. A two alarm blaze broke out just after 1:30 am at 116 Jackson Avenue. Firefighters had a difficult time fighting the blaze as the home was split up in to apartments. Four people escaped that blaze unharmed. 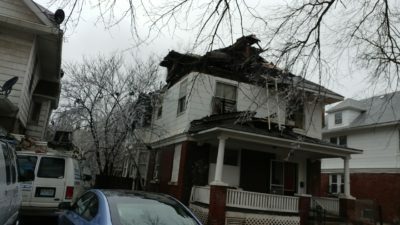 A second fire, this one at 125 N. Chelsea broke out at roughly 7:40 this morning. The two alarm blaze started on an upper floor according to neighbors who saw smoke billowing from an upper floor window and the area near the chimney. No human injuries reported but one cat did succumb to smoke at the Chelsea fire. 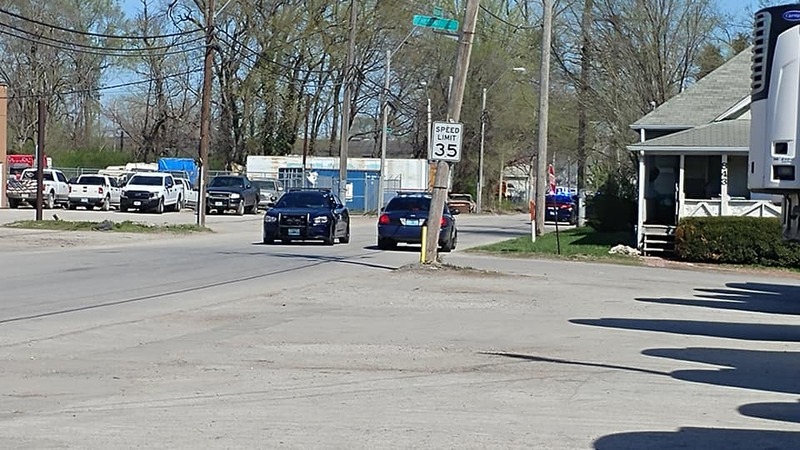 The owner’s four chihuahuas were not pleased either, chasing a pair of fire investigators and a KCPL official off the front porch afterward.